While Jeremy Corbyn’s leadership of the Labour Party have brought many improvements to party policy, much remains to be done. In particular, Corbyn has been weak on energy and climate policy. Although Labour’s election manifesto was widely interpreted to include energy nationalisation, in fact it promised no such thing. It pledged to bring the electricity grid into public ownership at some ill-defined later date, but that was the only nationalisation proposed. Instead it pledges to create “publicly owned, locally accountable energy companies and cooperatives”, which a supplementary industrial strategy paper clarifies to mean energy suppliers (the companies from which we purchase gas and electricity, rather than the companies which produce it). Despite stating “Labour understands that many people don’t have time to shop around”, strangely the party’s solution is to introduce a 7th choice to the market. Very little is said about the production side of the energy sector, other than to commit to support energy co-operatives. These are little more than secure feel-good investments for the middle class, are more expensive than building in the public sector, and don’t provide the national planning needed for the energy transition. These ownership models commit us to the wasteful energy markets which exist across Europe. While nuclear energy is not rejected by the manifesto, it is clearly seen as secondary to renewable energy and will remain in the private sector. I have argued in the past why renewable energy will not be sufficient to power Britain and why a competitive energy market is an obstacle to addressing climate change. Meanwhile, very little concrete is said by Labour about tackling climate change. There is a commitment to have 65% clean energy by 2030, which is either an ambitious goal they have not developed policy to meet or an extremely unambitious one stemming from a confusion of “energy” and “electricity”. In the election manifesto there is some vague talk of home insulation and electrifying the railways, but otherwise nonelectric energy use is unaddressed. A supplementary document mentions other technologies such as heat pumps, district heating, carbon capture and storage, and electric vehicles but says little about the type or scale of investments to be made in them, or how they come together in a broader climate plan. Indeed, the need for a comprehensive climate plan seems to be ignored, with a piecemeal approach of disconnected commitments offered instead. 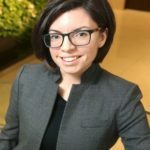 For inspiration on climate policy, Labour should look across the Atlantic to Canada, where left-wing candidate for leadership of the New Democratic Party, Niki Ashton, has made fighting climate change a central feature of her campaign. While not perfect, her proposals offer an excellent starting point. First and foremost, rather than talk about tackling climate change in terms of sacrifices people will have to make (as do many environmentalists), she does so by laying out a positive vision of the country we want to live in. She describes how her policies will bring better employment, housing, and communities. She even extends this to workers in polluting industries, sketching a framework which would see them usefully redeployed. This is the sort of approach which will motivate people to take action. Accelerate pollution-fighting technology by funding open-source research into solutions for the climate change challenges we face and invest in public sector clean energy innovation. Every scenario for avoiding runaway climate change includes a technological breakthrough we don’t have yet. The public sector has an important role to play in fostering innovation. Green Canada will partner with our public universities to fund and carry out basic and applied research in renewable energy and energy efficiency at dedicated new research institutes. The rewards of research breakthroughs will be shared by all of us: selected successful research will be the basis for new manufacturing projects run directly by Green Canada. In time, this crown corporation will grow into a complex green technology actor, reinvesting funds into research, taking on strategic production tasks that aid in meeting climate goals and providing the federal government with streams of revenues for other needs. This exactly the sort of approach needed for decarbonisation. It reintroduces the idea of public ownership not simply to run what is unprofitable, but for the purpose of economic development and innovation. Finally, it emphasises the role of national government in directing the transition, rather than rely on the usual platitudes towards localism. The other exciting aspect of Ashton’s proposals are the Green Canada Advisory Boards. Four such boards would be created, working in forestry, agriculture, fishing, and energy and made up of representatives of workers, environmental experts, different levels of government, industry, and indigenous people. Together they would direct the operations of Green Canada and set best practices. One advantage of such a system is that it would give workers in polluting industries a say over how they are to be reformed or wound down. This would make it easier to achieve buy-in for potentially controversial reforms. More broadly, this would begin to provide democratic control over public industry, something which has been missing from crown corporations in the past. While Corbyn has paid lip-service to this goal, Ashton has done more to spell out what it could look like. This is not to say that Ashton’s proposals are perfect. She needs to provide more details about non-electric energy usage, although she already says as much on this as Labour. She also seems intent on powering Canada solely off of renewables, although she does not actually reject nuclear or carbon capture and sequestration. In Canada this is at least theoretically possible (unlike in Britain) but it remains unclear that renewables alone could ensure a reliable supply. If so, it will almost certainly require an expansion of hydroelectric capacity, which would flood large areas of land and often lead to conflict with aboriginal groups. As such, the left has tended to oppose new dams. These are issues which must be soberly addressed. These criticisms aside, Ashton has laid out a very good initial blueprint for fighting climate change. While more detail is needed on some issues, this is only a policy proposal for party leadership and it can be expected to undergo further development before a general election. Despite this, in some areas it is already better developed than Labour policy. Furthermore, unlike Corbyn’s proposals, there are no fundamental problems with what Ashton has put forward; any changes which I want to see made only involve tweaking or expanding upon the framework already developed. Socialists and environmentalists in the UK would do well to take notice. Editorial note. Some corrections were made to this article 14th August 2017. Posted in: Climate Change, Energy policy, Environment, International, US & Canada. For me a constant cause for concern regarding debate on the left is the unwillingness of the great majority of those in favour of a radical left turn, and even more concerning the great majority of left activists, show no stamina for getting involved in the details of policy debates. This goes a long way to explaining how the National Policy Forum can offer such poor policies to the Party’s Annual Conference and, on previous experience, expect to get away with it. The fact that this interesting article by Chris MacMackin has had no comments since it was published over a week ago is indicative of the above point. Not a single reaction in over a week! What’s the problem? The problem is that as soon as you get into the sort of detail given by Chris M mere opinion will no longer do. You have to know something. When sounding off on some general left-versus-right tack will no longer suffice the room falls silent. So long as this situation exists policy development will remain at its current low level. Corbyn has been weak on energy and climate policy. Although Labour’s election manifesto was widely interpreted to include energy nationalisation, in fact it promised no such thing. Despite stating “Labour understands that many people don’t have time to shop around”, strangely the party’s solution is to introduce a 7th choice to the market. Would bring some sort of reaction. Virtually everyone on the left agrees that climate change is a major issue and a major responsibility for left politics. At least everyone agrees that ‘in principle’ but is not at all inclined to do the work that putting that into practice would entail. And it is not as if we had to do all of the spade work as individuals. Chris M has spelled things out previously in great detail outlining the technical issues and solutions and their consequences for political policy. And the answer to all this is a massive silence. There is also the international dimension. Here we are being informed about useful lessons that can be learned from another countries experience. 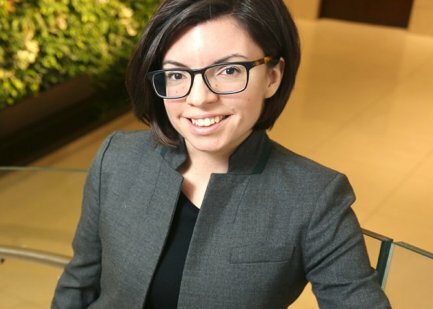 While not perfect, her [Niki Ashton’s] proposals offer an excellent starting point. First and foremost, rather than talk about tackling climate change in terms of sacrifices people will have to make (as do many environmentalists), she does so by laying out a positive vision of the country we want to live in. She describes how her policies will bring better employment, housing, and communities. She even extends this to workers in polluting industries, sketching a framework which would see them usefully redeployed. This is the sort of approach which will motivate people to take action. Unlike many liberal environmentalists, such as those in the world’s various Green Parties, Ashton recognises the role which the public sector must play in fighting climate change; collective solutions are favoured over individual actions. How is it that such an argument produces no reaction at all? Only because the left’s much vaunted “internationalism” is little more than an empty slogan. In practice this is clear and in particular it is clear when it comes to debating the EU when one rarely hears about left and democratic movements in other countries and what we might be able to achieve by acting in concert with them.